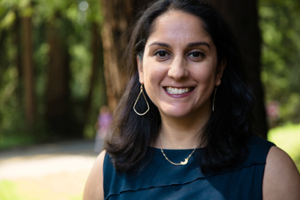 Sikina Jinnah is Rachel Carson College's new faculty chair! The Chair of the Faculty is an Academic Senate member, other than the Provost, who is elected by the college Faculty to serve a two year term, and will serve as a member of the Executive Committee. Dr. Jinnah is an Associate Professor in the Politics Department, an affiliated faculty member in the Environmental Studies Department, and a 2017 Andrew Carnegie Fellow. Her research focuses on the shifting locations of power and influence in global environmental governance, and in particular the role of transnational actors in environmental decision-making. Her most recent projects examine how key norms in global climate politics shape power relations, the role of U.S. preferential trade agreements in shaping environmental policy in trading partner nations, and the politics of climate engineering governance.